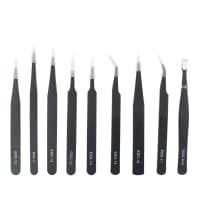 ESD 9-piece antistatic tweezer set for only 12,95€. 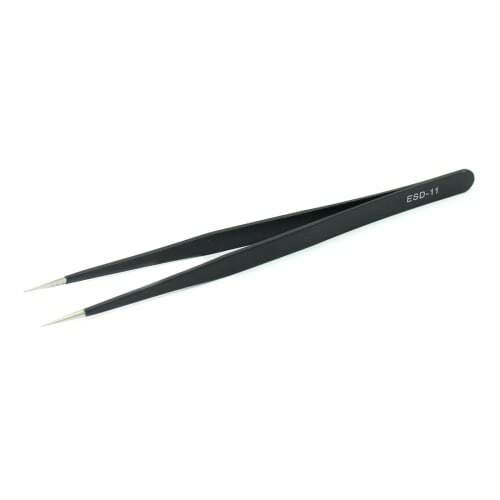 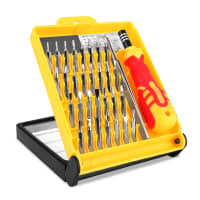 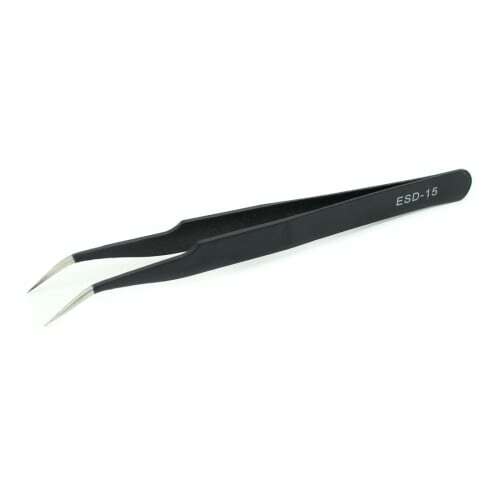 Antistatic tweezer set to carry out safe and delicate work on electronic components! 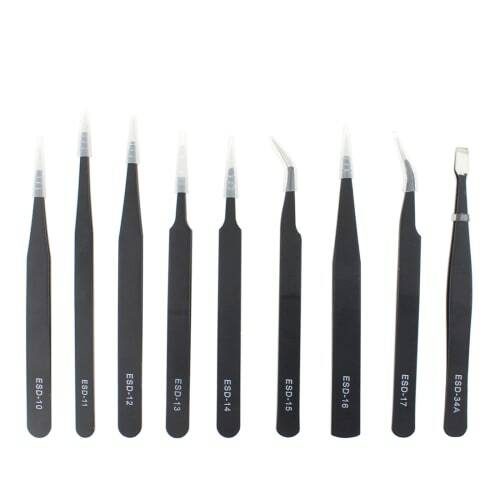 Remove the finest & most sensitive electronic components using this nine-piece set of antistatic precision tweezers that come in a linen roll-up bag for neat organisation and easy storage. 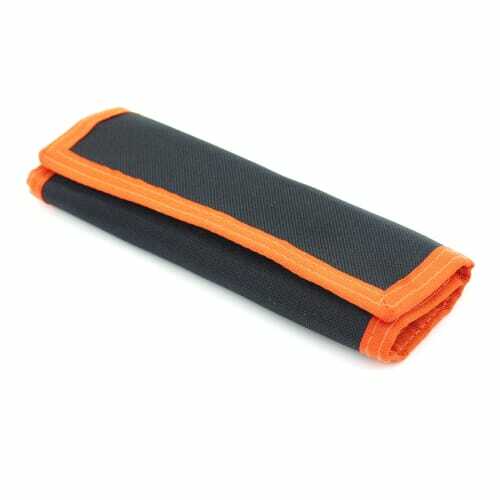 Protective caps included.